King of Fighters fans mark your calendars. It has been announced that the latest installment of the game will be released on July 14, 2010. They are already scheduling tournaments in Japan for the game, I wonder how widespread imports will be to the US and Europe. Will the game manage to overcome some of the mediocre reception that KOFXII had? I’m sure that the inclusion of player favorite Mai will go a long way towards that, otherwise we’ll just have to wait and see. It will probably have a console release by the end of the year if they follow the pattern most fighters follow these days but perhaps we can hope for a decent period between the releases. Earlier this month, a large Japanese King of Fighters tournament was held, taking in classics such as KOF2002UM and KOF98. 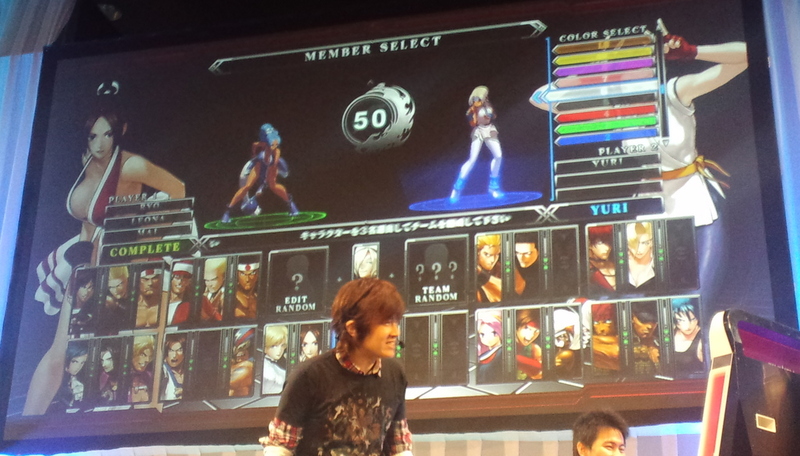 However, the big point of attraction was a special preview tournament for the upcoming King of Fighters XIII! 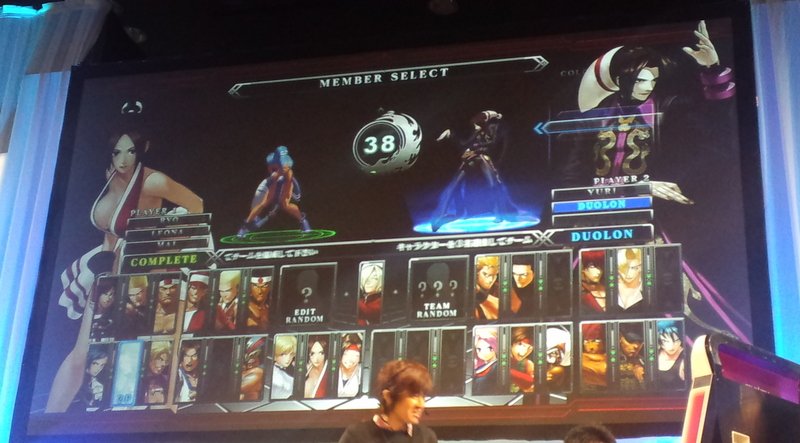 Top players were given the chance to battle it out on the latest entry in SNK’s classic series. Check out a video of the finals below! 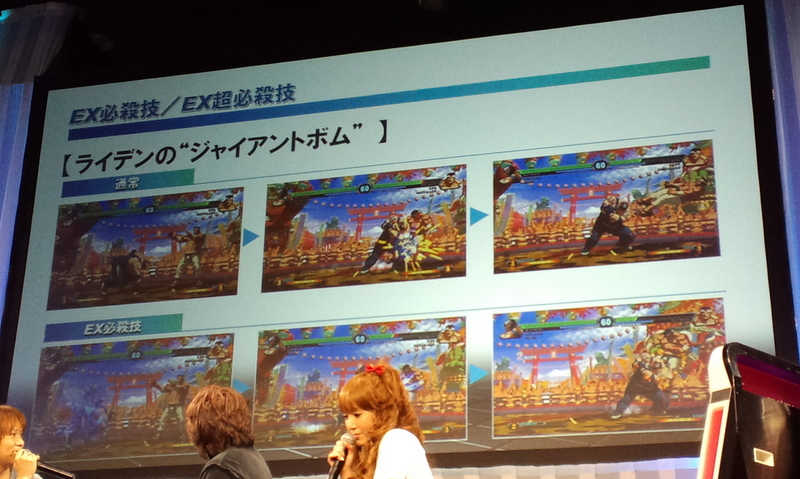 detailing throw escapes, guard cancels, usage of the power gauge, EX special maneuvers (w/video athttp://game.snkplaymore.co.jp/official/kof-xiii/system/ex.html) and a hyperdrive mode that allows for some pretty tricky combos (w/video at http://game.snkplaymore.co.jp/official/kof-xiii/system/hyper.html). SNK Playmore had been teasing a preview for the latest KOF for a little while now and today was the day they finally showed the game off in Japan. 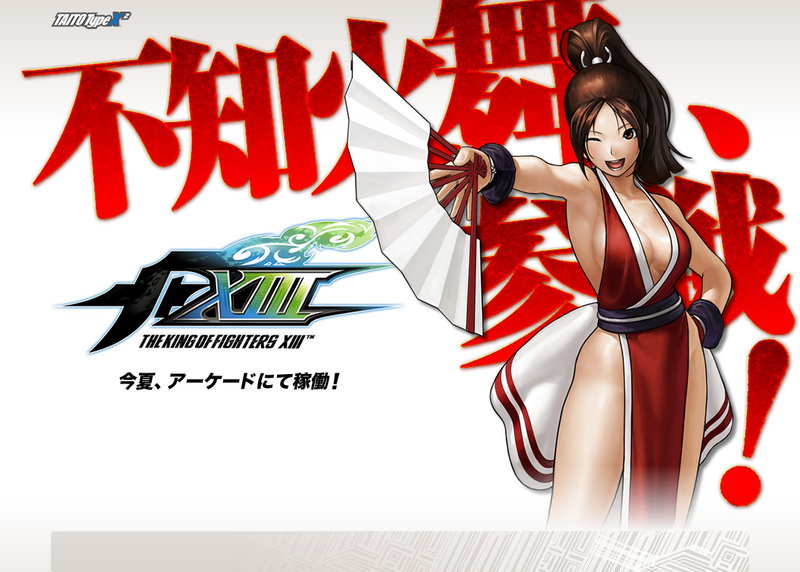 Fans who missed Mai last time will be happy to know that she is back (she’s on the main page for the KOFXIII site which is where the image above came from) and the game is already confirmed to be showing up at the next Arcadia Cup Tournament in Japan. AM-Net has a number of pics but at the moment it seems that their server is being overwhelmed so you may or may not see the pics. I was able to get a couple of them which you can see below, click to enlarge. Kotaku Japan has some shaky cam footage of the preview event though if you can’t wait. 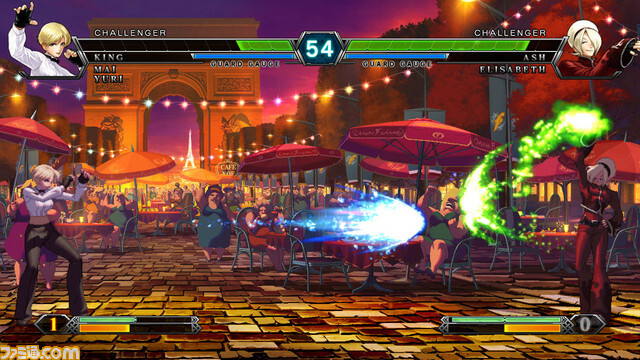 KOFXIII is scheduled for a release in arcades this summer with a console version coming in a little too quickly after that (we had heard this summer but with the arcade getting pushed back, they are either launching both at the same time or the console release will be pushed back as well). I suppose the console release can help broaden awareness of the game amongst fighter fans and bring them in for tournaments if you have a large KOF fanbase in the area but operators are not quick to forget what happened with Tekken 5 where the console release came out a couple of months after the arcade and plays on the arcade dropped badly. If you don’t have that solid arcade playing fanbase then it’s hard to warrant spending all the cash on the arcade, unless you already have a GameGate of course. UPDATE: The AM-Net Blog has added some videos of the event! the audio isn’t great but at least you can see the game in action. Graphically the game is fluid 2D just like KOFXII. 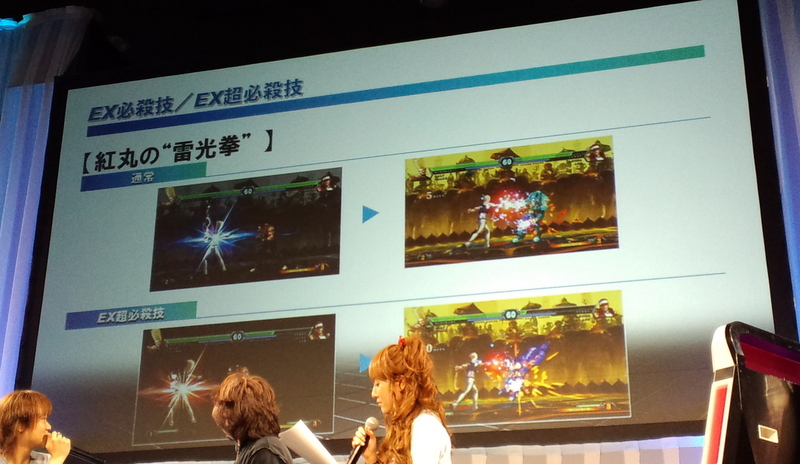 One more UPDATE: Famitsu has a bunch of details on how the game plays, mechanics that make it different from or similar to other KOF titles. Apparently, infinite combos are possible in the game. For as many things as we are able to find out about arcades around the net, sometimes a game or announcement slips under our radar. Fortunately it’s not for forever so you’ll have to forgive us that we bringing this up now but below is a video taken from GDC’08 of the upcoming 3D rendition of Samurai Spirits Sen (or Samurai Shodown: Edge of Destiny) for arcades. Come to think of it, I believe that we mentioned this one back in February but I admit that I forgot about it until today. It looks bloody awesome (literally) but obviously it is only for venues that can carry red labeled games due to it’s graphic content. I’m not sure when it is supposed to be released or in what regions exactly but where it was shown at GDC, I hope that it would be on the table for an international release this year. 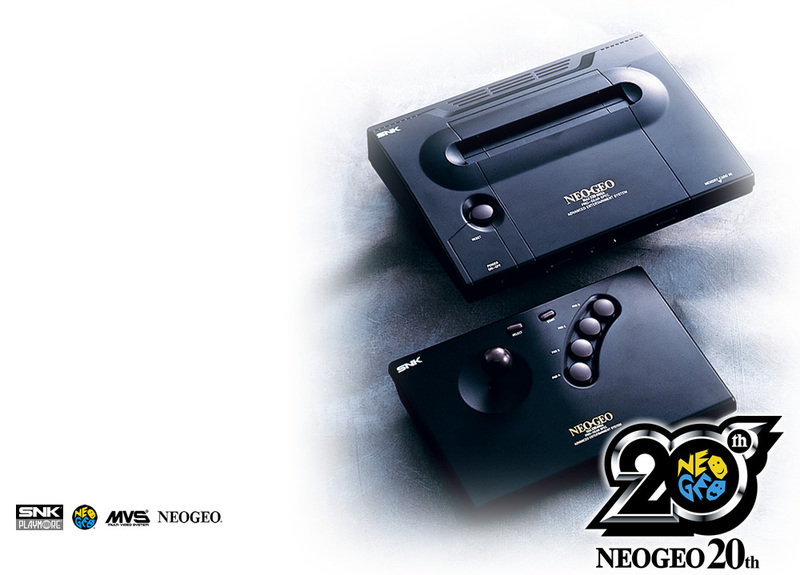 The game uses the Taito TypeX2 hardware but whether or not it will live up to the name (as the last effort that this game made into 3D was shunned by many) remains to be seen. Also tacked on is a second video that was on Gametrailers from about the same time as the first. I’ve been so used to sites like GT rarely carrying something arcade related (unless it’s SFIV) that I stopped checking (I used to check it for console stuff but it’s been a while as I just don’t have the time for consoles right now). King Of Fighter XII @ AOU 2008? Yet another game that we can look forward to seeing more of at AOU 2008 (Hopefully). As if Street Fighter wasn’t enough! You won’t hear me complaining though. Fingers crossed. AM-nethas updated its game profile for King of Fighters XII to include a presence at the AOU 2008 show later in February. Based on the information provided, it appears that the game won’t be seen in a playable form, but rather in a video presentation similar to how it was previously shown off at AOU 2007. 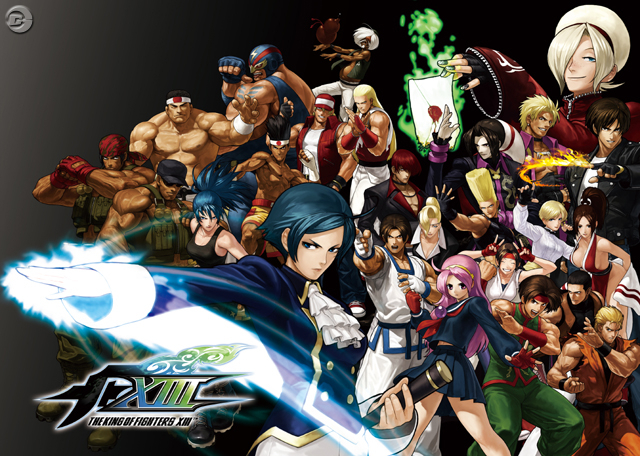 SNK Playmore already has a fairly strong 2008 line-up consisting of its return to a 3D Samurai Spirits, King of Fighters Maximum Impact Regulation A2, and King of Fighters ’98, so whether or not King of Fighters XII is being planned for a 2008 is questionable at this point. It seems that 2009 may be a bit more in check with the company’s plans for the arcade industry. Hopefully at AOU 2008 we’ll get at least a better idea of what we can expect from King of Fighters XII. Though I would love to see some in game video, I’m thinking that more than likely its probably going to be a teaser of sorts (hopefully better than the logo teaser we’ve previously seen).